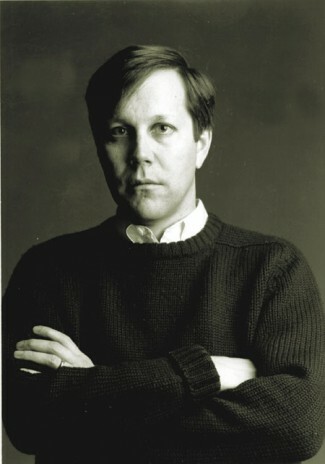 Dana Gioia has spent his career making metaphors: drawing disparate things together to reveal the breadth and depth of aesthetic experience, but doing so in a way that has frequently provoked avant-garde artists and their academic minions even as it has intrigued and rewarded the lay reader. His poems display a casual clarity so that, while never obscure, their meaning does not expend itself in the flash of first exposure. But, this poetic union of the popular and complex is just one “metaphor” among many. Over the last three decades, his essays and reviews have drawn together the fragments of an often violently divided culture in an effort to renew and increase the role poetry plays in American social and public life. They have also sought to reshape literary debate by practicing ways of reading and judging regarded as anathema by what Gioia has called the “subsidized academic specialists” of literary criticism. His poetry moves confidently between the imagistic intensities of modernist and postmodernist free verse and the inherited craft of rhyme and meter; so also does it draw into an age given over to the conventions of the lyric a rebirth of song and non-iambic measures as well as a renewal of story-telling and the didactic poem. In his work in opera and art song, he has brought poetry, music, and drama back into their proper communion. He has written essays on the meeting of literature, place, and democracy; on the need for professional writers to reach out in meaningful ways to popular, lay audiences; and on the flourishing fortunes of poetry “after print culture” as it merges with other cultural forces to produce hiphop, cowboy festivals, and poetry slams. Perhaps more provocatively, Gioia has sought to wrench poetic reputation-making out of the hands of cultural and academic institutions on the East Coast. He has written appreciative essays on the great poets of the Midwest, including two on the curious artistic genius of the Plains, Weldon Kees, as has his criticism returned with frequency to the fate, distinctiveness, and literary politics of the California and Italian-American writer. His Barrier of a Common Language (2003) serves as a remarkable critical broadside intended to familiarize Americans with the best contemporary British poets, many of whom were ignored on this side of the Atlantic, until Gioia started writing about them. In all this, one senses a convergence of concern for discovering and understanding genuine artistic achievement with a natural populism and faithfulness to native region and other extra-aesthetic values that were totally alien to the mainstream of literary discussion until Gioia forced their entry. This coupling of honest criticism and interest in good poetry with a desire to draw in the broader culture and to shock the complacencies of the professional scholar has been a consistent feature of his work. First, Gioia’s The Daily Horoscope (1986) set him apart as one of the leading voices contending for the restoration of meter, rhyme, and story-telling in contemporary poetry. The defensive advocates of free verse were quick to pounce, though the book’s suave and vivid lyrics moved between free and open forms in such a way as to refute their accusations of nostalgia or conservatism and to demonstrate that he simply had a more comprehensive talent than most of his contemporaries. While frequently echoing the cadences of Wallace Stevens, Gioia’s demotic voice and precise vision were something new. As mention of Stevens might suggest to those familiar with his biography, the poems in Horoscope effected another desired reconciliation of Gioia’s, that of poetry and business. Gioia’s degrees in literature from Stanford and Harvard had not resulted in a writing career. Instead, he proceeded to earn an MBA from Stanford and spent nearly two decades in New York, as an executive for General Foods. When word of his reputation as a poet reached his colleagues, Gioia made a critical point out of the sensation it created. Most Americans are in some sort of business, so why is there no poetry to express and reflect on this consuming portion of their lives? “In Cheever Country,” one of his early poems, shows that Gioia had already brought into poetry the landscape of the New York commuter’s soul, drawing art and commerce together with a realism akin to that of the author of Bullet Park before him. In 1991, The Atlantic Monthly published his “Can Poetry Matter?” This thoughtful polemic recalled the wide role poetry once played in public culture and the family nursery and asked how it could be regained. Two suggestions of especial point were that poets should more selflessly promote good poetry by, first, reciting others’ great poems, not just their own, at public readings, and, second, by writing serious, often negative, criticism. Poetry was dying of a therapeutic narcissism in which readings had become displays of misplaced vanity and criticism a Prozac crushed in a spoonful of applesauce. But it need not. It could and should enrich the lives of the entire country. Appointed Chairman of the National Endowment for the Arts in 2003, Gioia took his own advice and developed several successful programs to bring literature out of the professional coterie and into the public auditorium, sponsoring performances of Shakespeare across the country and organizing the enduring Poetry Out Loud youth poetry recitation contests. Since resigning his post, Gioia has allowed the Catholicism that always informed his poems to become a more obviously public concern, as he seeks to promote a renewal of the long fruitful engagement of Catholicism and the arts, for the sake of both. All four of Gioia’s books of poetry have been built out of unions such as these. Counterpointing meditative lyrics with songs from his own operas, accomplished tales in verse, prayers and didactic satires, dramatic monologues, and metrically skillful translations of great modern European poets, his books seem each to exhaust the toolbox of poetry by drawing old and new things into kinship. Gioia’s lines are often memorable to the point of being haunting; they are measured with a mastery that few in our day could match. The poems themselves tend to be rich and reward reflection, but their attention to reconciling high art sophistication with a popular love of beautiful song and resonant rhetoric does set a limit to their depth. They demand study but do not require annotation. Gioia’s metaphorical yokings invite comparison with Auden and Eliot. Like them, he has parleyed poetic achievement and a genius for connecting art with the broader culture into a role as public intellectual and man of letters. But, in contrast with theirs, his criticism is tightly focused on revaluations of established poets and the discovery of new voices; only in the service of such evaluation does it stray beyond the strictly literary. One can, in consequence, trust his reviewing as a reliable guide to whom one should read. But his critical restraint and integrity suggest something more: for all his success as an essayist, arts advocate, and provocateur, Gioia trusts that the final evaluation of his career will be based on the quality of the poetry he has written. Previous articleHas This Guy Never Heard of Downton Abbey?